The northernmost portion of California is a dream come true for outdoor enthusiasts, and the city of Redding sits smack dab in the middle, making it an ideal base camp for boaters, rafters, sailors, hikers, and cyclists (just to name a few). Located just three and a half hours from the Bay Area, Redding is an excellent place for visitors to get a good night’s rest before exploring all the region has to offer during the day. Right off I-5 with easy access to lakes, rivers, and swimming holes, miles of alpine trails just outside the city, Redding’s primary draw is the outdoors. Couples come for an intimate weekend away, families are drawn by the promise of good old-fashioned family fun, and adventurers of all experience and ability levels can find challenge and excitement on the trails and waterways. Redding is an epicenter of outdoor adventure, but here’s our list of six of the best experiences that you don’t want to miss. 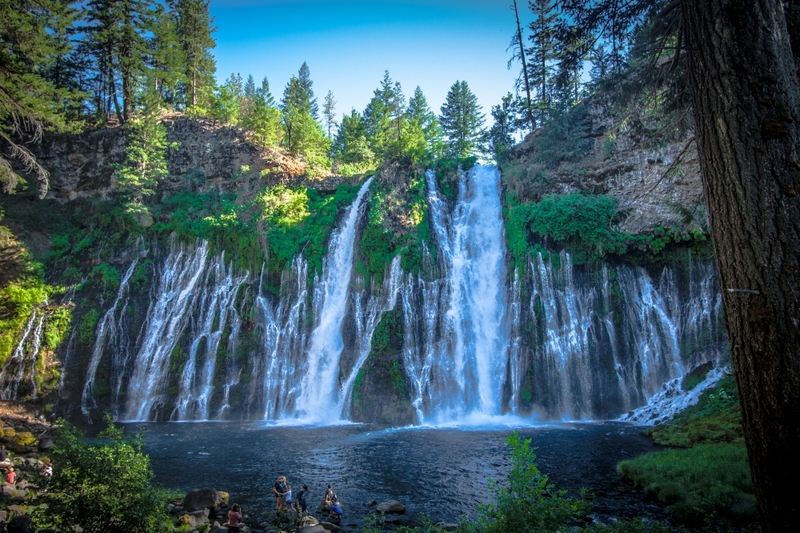 Visitors to McArthur-Burney Falls Memorial State Park won’t soon forget its signature 129-foot waterfall, Burney Falls. The impressive cascade is fed from an underground spring that flows at a rate of 100 million gallons every day. Make sure to see it from both the lookout point from above and at the pool at the base of the falls. You’ll find lots of hiking trails to enjoy throughout the park, including a section of the Pacific Crest Trail, while surrounded by an evergreen forest. Lake Britton is a nice spot for boating, kayaking, and paddleboarding, with rentals available. After visiting the falls, an afternoon on the water is a great way to finish the day. The 10-mile Sacramento River National Recreation Trail is another fantastic choice for getting some fresh air—and it’s located right in the heart of town. The paved path that stretches along the river is popular with walkers, runners, and cyclists. The trail is more exposed on the north side of the river while the south side is relatively flat and has more shade. 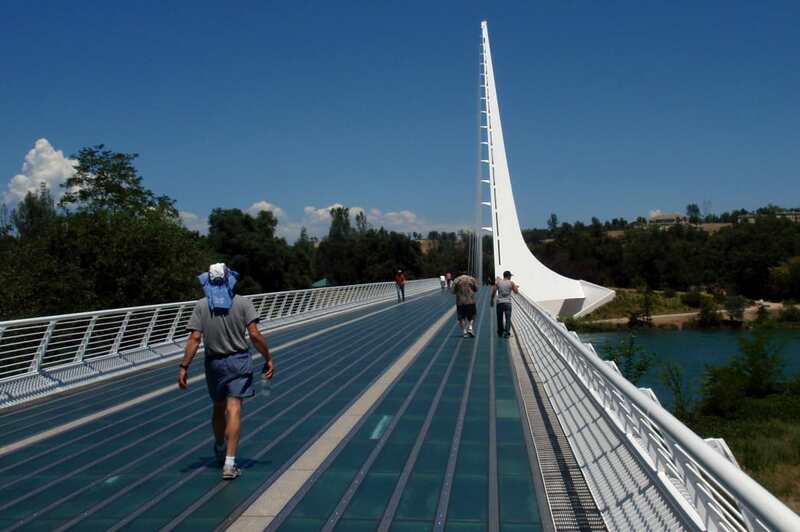 The two sides of the river are linked by the famous Sundial Bridge, a pedestrian walkway and real, functioning sundial. 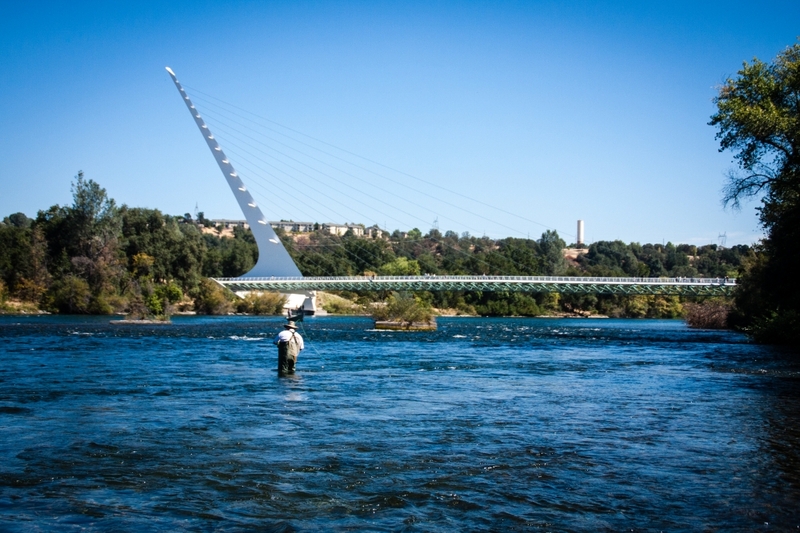 The bridge’s white beams are an iconic Redding landmark, and the surrounding family-friendly Turtle Bay Exploration Park is another favorite stop for nature lovers passing by. California is home to nine national parks, and Lassen Volcanic National Park is by far the most remote and least visited. 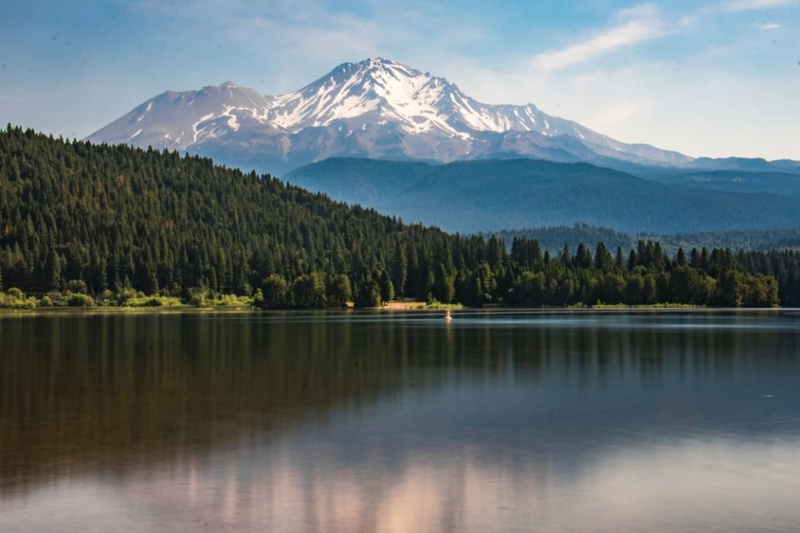 Characterized by high alpine peaks, snow-filled lakes, conifer forests, and fields of wildflowers, the park is located less than an hour east of Redding. 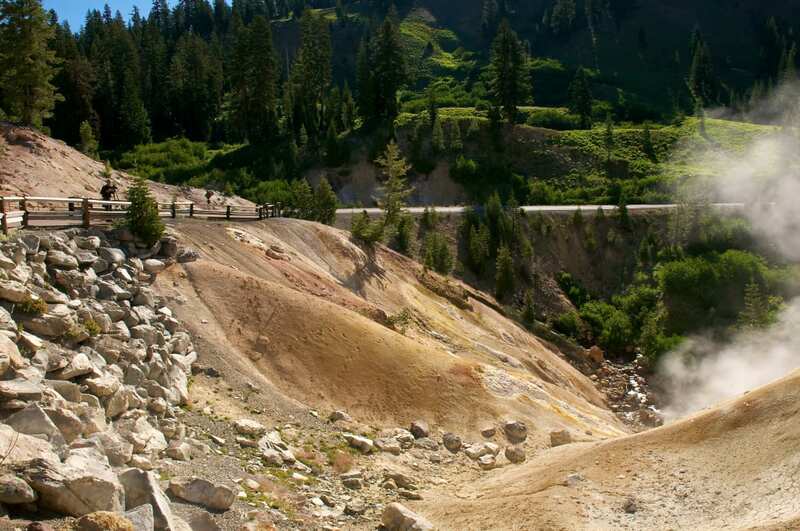 The main attraction to the park is the volcanic activity, which you can see at the hydrothermal areas within the park, including Sulphur Works and Bumpass Hell. 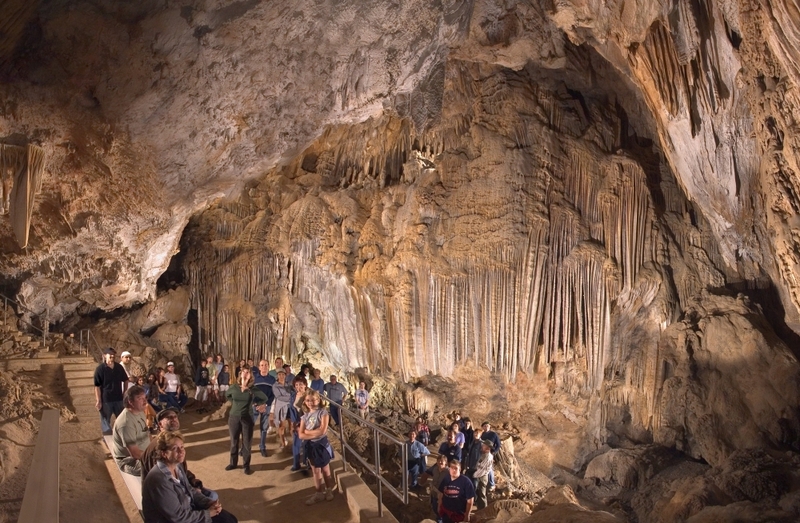 For another once-in-a-lifetime outdoor adventure in the Redding area, take a tour of the Lake Shasta Caverns National Natural Landmark. Visitors take a short boat ride across the lake where they disembark and hop on a bus that takes them to the cave’s entrance. From there, they will descend into the caves and learn about the unique geology of the area. The caves are managed by the national park service and you can only visit them as part of the official tour. 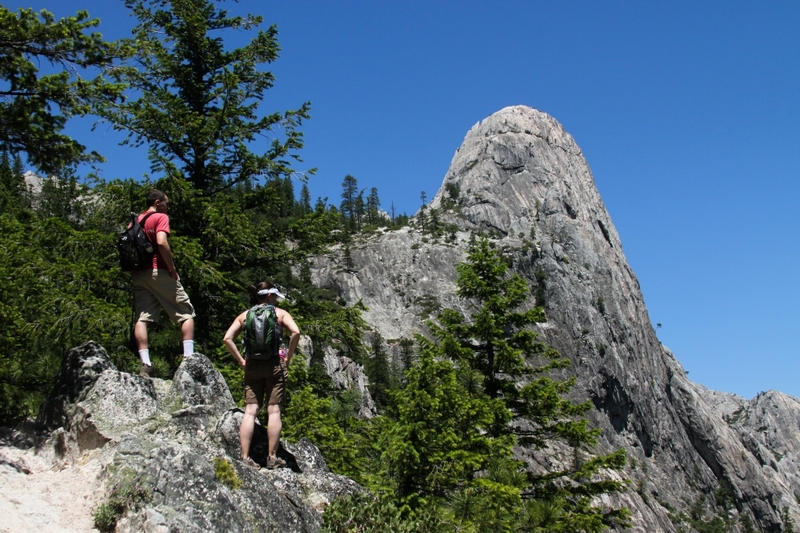 The rugged peaks of Castle Crags State Park, located about 40 minutes north of Redding in Castella, stand out as unique in the region. The 6,000-foot tall crags that were created by glaciers are just one of the draws to this impressive area. You can fine spectacular views of Mt. Shasta on the 28 miles of hiking trails that wind through the park. On the 6.5-mile Castle Dome Trail, you’ll gain more than 2,000 feet in elevation, but the views make that climbing all worthwhile. If you’re not up for such a strenuous route, the paved quarter-mile trail to Vista Point offers some of the best panoramic views around. Besides all the other outdoor activities around, one of Redding’s top claims to fame is its fishing. The rivers and streams run clear and cold, and the abundance of freshwater lakes makes steelheads, rainbows, browns, and bass almost easy to come by for a skilled angler. Forbes.com even named Redding one of the “Top 10 Trout-Fishing Towns in North America” in 2009—it was the only West Coast city to make the list. With so many rivers, streams, and lakes to fish in, it’s hard to choose just one. But you can’t go wrong with the McCloud River, Pit River, Hat Creek, Fall River, Trinity River, or Manzanita Lake. The Lower Sacramento River receives water from the depths of Shasta Lake, which produces cold water that allow rainbow trout to feed and grow year-round. Hire a guide to help you find where the fish are biting best. You won’t be disappointed. With so many activities to choose from, there’s never a dull moment in Redding. Regardless of what sport or outdoor adventure you pursue, there’s plenty waiting for you in UpStateCA. Written by Jill Sanford for RootsRated Media in partnership with Redding CVB.